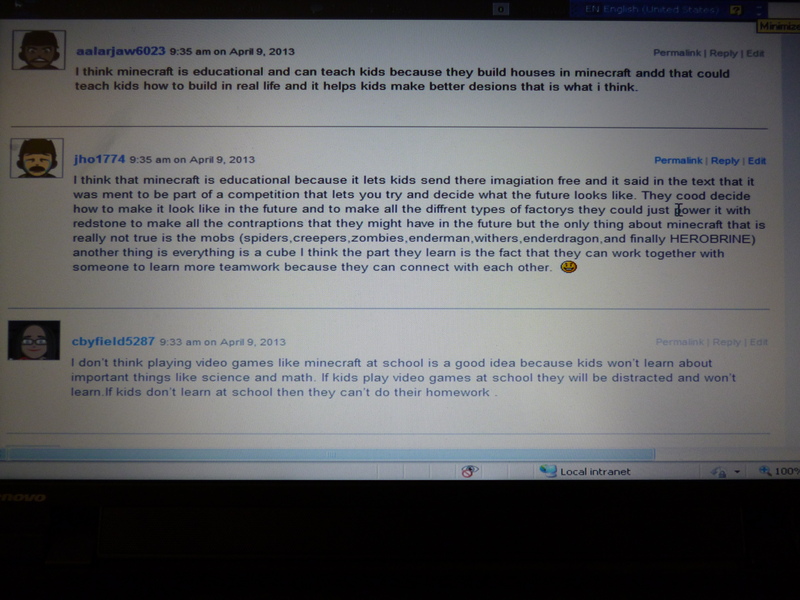 The grade 3’s were divided on the educational value of Minecraft today. They blogged after we read this article bit.ly/10BsAaS. Below are a couple screenshots of the writing that was happening this morning. To read more, your child can log in to the HWDSB Commons at home. Read some of the posts together and make a comment after discussing at home. 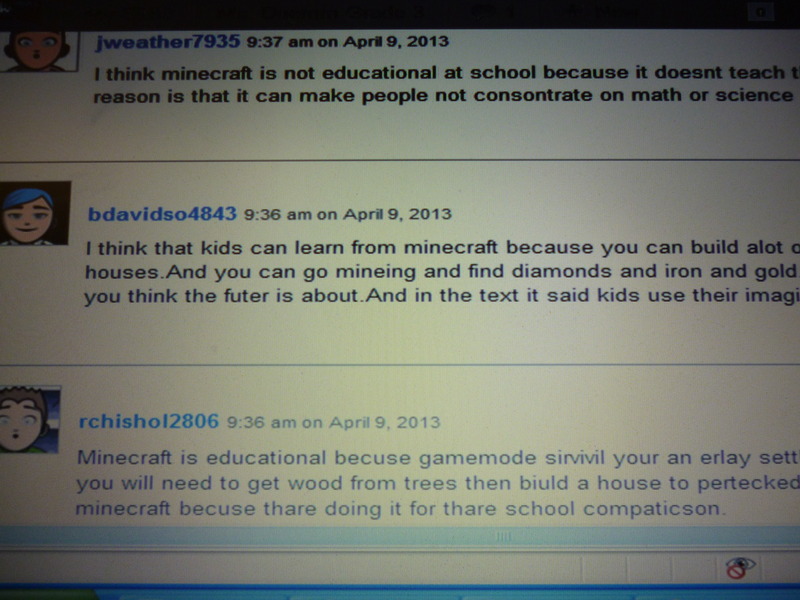 This entry was posted in Literacy, Updates and tagged blogging, HWDSB Commons, Minecraft by Ms. Duemm. Bookmark the permalink.